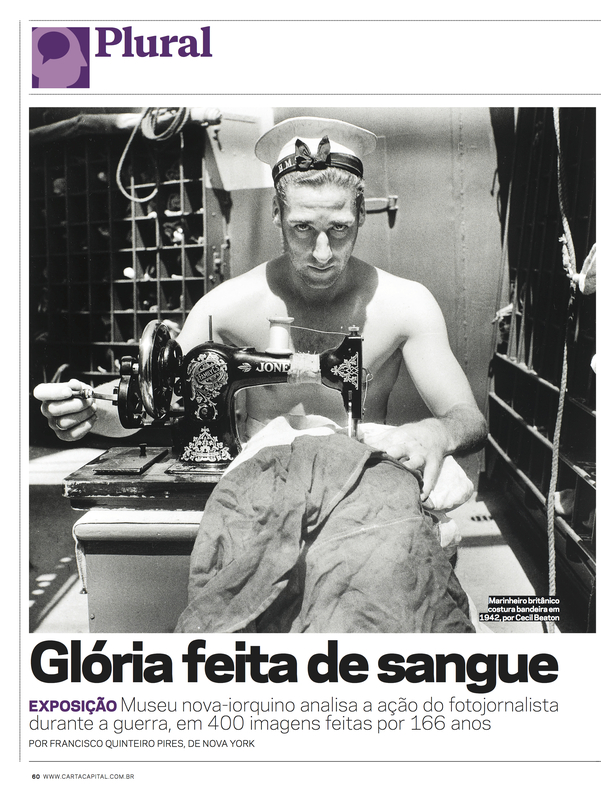 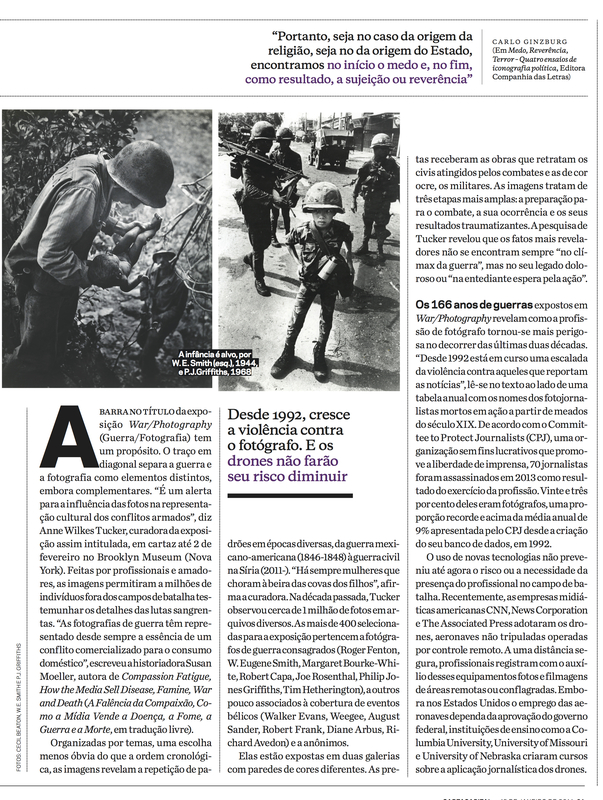 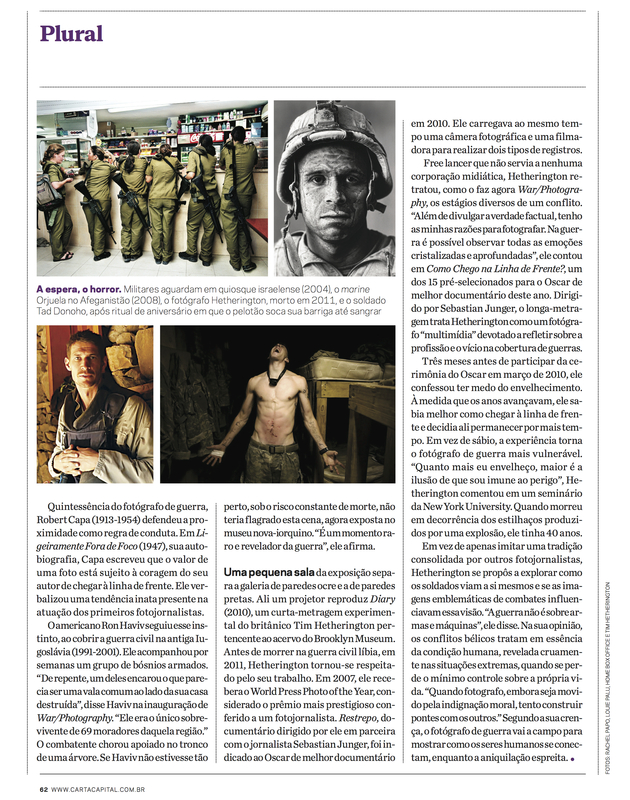 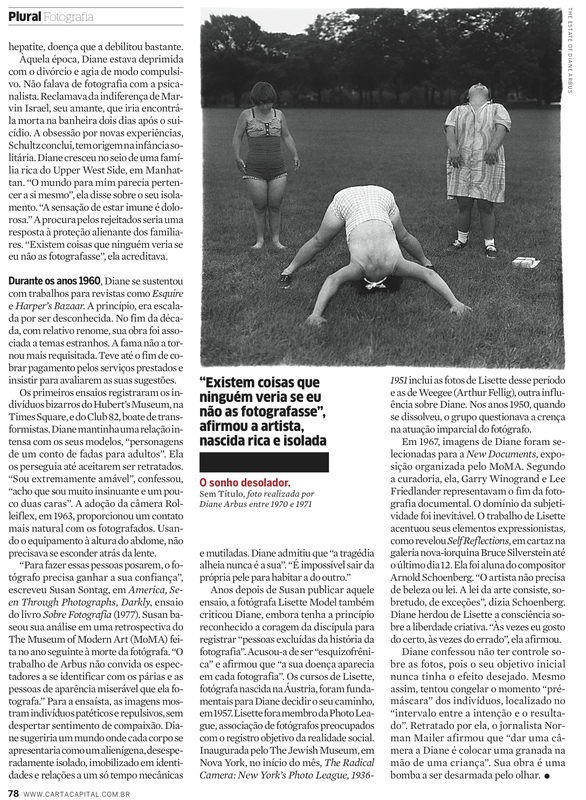 This entry was posted in artes visuais, fotografia, história, jornalismo, política, vídeo and tagged Anne Wilkes Tucker, August Sander, Brooklyn Museum, Carta Capital, CNN, Columbia University, Committee to Protect Journalists, Como Chego na Linha de Frente?, Compassion Fatigue, Diane Arbus, drone, drones, exhibition, exposição, Famine, fotógrafos de guerra, fotografia de guerra, Francisco Quinteiro Pires, Glória feita de sangue, HBO, How the Media Sell Disease, Joe Rosenthal, Ligeiramente Fora de Foco, linkedin, Margaret Bourke-White, mortes, New York, New York University, News Corporation, nova york, Oscar, Philip Jones Griffiths, Restrepo, Richard Avedon, Robert Capa, Robert Frank, Roger Fenton, Ron Haviv, Sebastian Jurgen, Susan Moeller, Tad Donoho, The Associated Press, Tim Hetherington, University of Missouri, University of Nebraska, W. Eugene Smith, Walker Evans, War and Death, WAR/PHOTOGRAPHY, Weegee, Which Way Is the Front Line From Here, World Press Photo of the Year on 14/01/2014 by Francisco Quinteiro Pires. 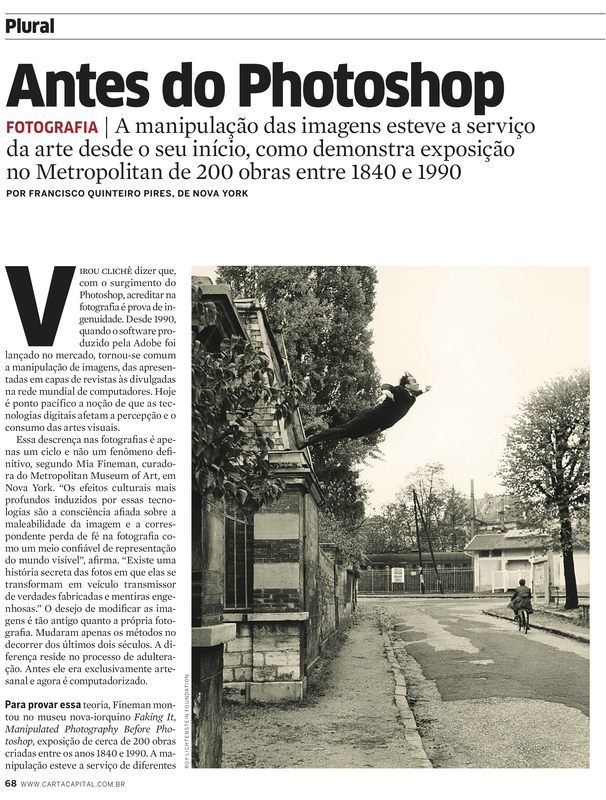 This entry was posted in artes visuais, fotografia, história, jornalismo, revista and tagged Adobe, Alan Trachtenberg, Alfred Stieglitz, Édouard Baldus, Beaumont Newhall, Calvert Richard Jones, Carta Capital, Duane Michals, Faking It, Francisco Quinteiro Pires, Grete Stern, Gustave Le Gray, Henry Fox Talbot, Henry Peach Robinson, Jerry Uelsmann, John Baldessari, Joseph Nicéphore Niépce, Lewis Hine, Looking Askance, Louis Daguerre, Manipulated Photography Before Photoshop, Martha Rosler, Michael Leja, Museum of Modern Art, New York, nova york, Paul Strand, Robert Heinecken, The Metropolitan Museum of Art, Weegee, William Mumler on 22/01/2013 by Francisco Quinteiro Pires. 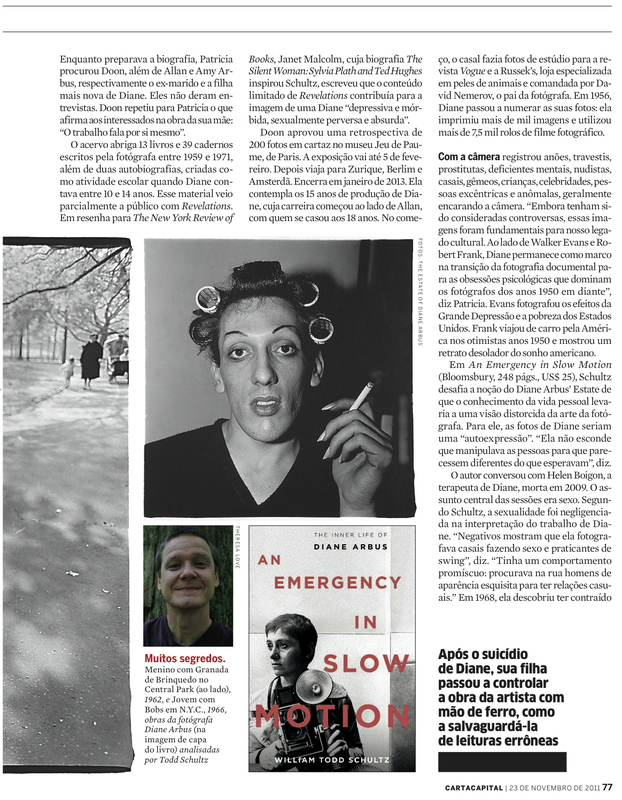 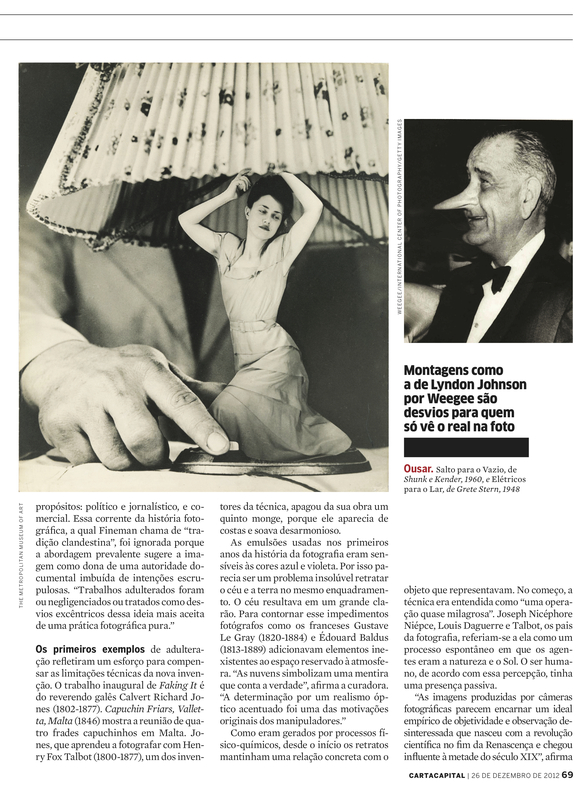 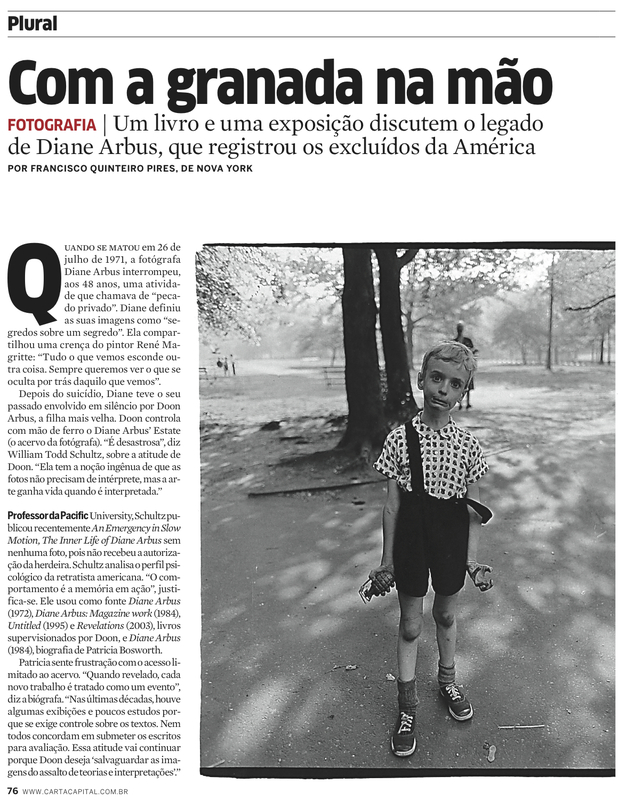 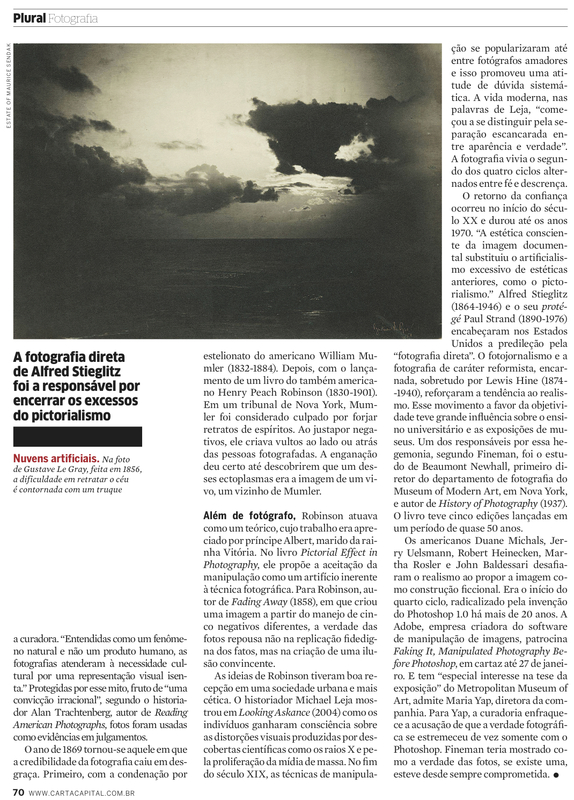 This entry was posted in artes visuais, biografia, entrevista, fotografia, jornalismo, livro, revista, ruas and tagged Arnold Schoenberg, Bruce Silverstein, Carta Capital, Diane Arbus, Doon Arbus, Francisco Quinteiro Pires, Helen Boigon, Jeu de Paume, Lisette Model, Manhattan, Marvins Israel, New York, Norman Mailer, nova york, Paris, Patricia Bosworth, The Jewish Museum, Upper West Side, Weegee, William Schultz Todd on 18/11/2011 by Francisco Quinteiro Pires.